Pet food products (dry food, wet food, treats, dental care products, toothpaste, etc.) that include corn and corn derivatives definitely compromise health and shorten your dog’s and cat’s life-span. At the end of this article you will find an extensive list of ingredients that do and may contain corn. Not only is corn a filler and a nutrient poor food, it is also not a species appropriate food for dogs and cats. The majority of the corn (soy, rice and other grains) used in animal-grade food in North America is not screened for aflatoxins. Aflatoxins grow mainly on grains but they also grow on legumes – like peanuts, walnuts and pecans. Aflatoxins can also be found in cottonseed oil, fish meal and peanut oil. When aflatoxins are constantly present in the diet the liver and kidney cannot keep-up and as a result toxic loading on the dog’s/cat’s system increases. The toxic load increases exponentially when the body is already struggling to process a host of other toxins. Processed foods that include corn and soy and derivatives, etc. Round-up is also destroying the health and viability of soil. Round-up was specifically designed to be used in partnership with Monsanto’s Genetically Engineered ‘Round-up Ready’ seeds that – seeds that are engineered to tolerate glyphosate. Plants adapt, including the ‘weeds’ that glyphosate was originally designed to kill. The weeds have become ever more resistant to glyphosate. As a result farmers are using more and more of the powerful toxic, carcinogenic herbicide. Genetically engineered crops are literally drenched with glyphosate. When the food crop is harvested toxic glyphosate residue remains on the grain and subsequently remains in the resulting food product. Glyphosate is also an endocrine disruptor – the terrible toll resulting from this is discussed further below. Grains are a major cause of food sensitivities and allergies in dogs and cats. Both species digestive systems’ are not evolved to consume sugar or a diet that is heavily laden with carbohydrates – especially not refined carbohydrates. As such a dog’s and a cat’s immune system may recognize grains as a foreign substance, in which case the animal’s immune system can become overly active in its quest to battle the foreign substance. The over-active immune system can result in the creation of an allergy to the substance. When an allergy occurs allopathic veterinarians will usually prescribe steroids. Unfortunately steroids turn the immune system off. With the immune system shut down the the body cannot perform its normal self-regulatory function to keep the balance between good and bad flora in the gut. Yeast feeds on sugar. Sugar is also an inflammatory and a contributing factor to cancer. When too much sugar is present the natural balance of good bacteria vs. bad bacteria can become disrupted leading to an overgrowth of bad bacteria which results in an overgrowth of yeast – a ‘yeast bloom’. A dog’s and cat’s digestive system quickly converts refined carbohydrates such as grains – i.e. corn, wheat, rice into sugar. In addition, some dog food and treats contain sugar. As the yeast grows it spreads through the blood stream and can end-up in the ears creating an ear infections, in the paws there by creating a yeast infection in the paws and in more extreme cases the entire surface of the body’s skin may be inflamed with the yeast infection. Once again allopathic medicine can and often does make the situation worse. Allopathic veterinarians prescribe antibiotics to treat yeast infections. Antibiotics kill all bacteria – good and bad. This may then result in a further blooming of yeast, and if the root cause of the allergy is not resolved, the yeast infection can become a reoccurring and chronic condition. In severe cases of yeast infection, carbohydrates such as potatoes and sweat potatoes may also need to be eliminated from the diet. Even honey which does have immune system boosting properties may have to be eliminated. By adding to the daily diet, immune system boosting foods such as organic unpasteurized, unfiltered apple cider vinegar, garlic, turmeric and probiotics you can help eliminate the infection and prevent re-occurrence. A diet that has a high content of processed grains can be a major contributing factor to impaired brain function. While no dry dog food provides the correct balance of Omega-3 to Omega-6 fatty acids, the balance gets further exacerbated when that food includes high levels of processed grains such as corn. Remember that upon ingestion, grains get converted to sugar very quickly. This spikes the body’s insulin levels which in return creates a spike in Omega-6 fatty acids. High-levels of Omega-6 fatty acids cause cellular inflammation. Omega-3 fatty acids are the brain’s anti-inflammatory. If you are feeding your dog a commercially manufactured dog food, and nothing else – your dog’s Omega-3 fatty acid levels are much to low and Omega-6 too high. 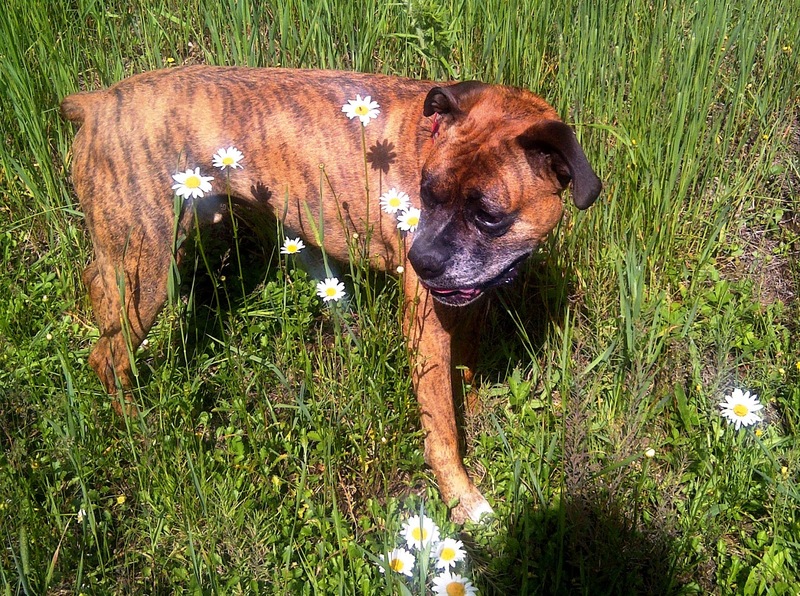 Your dog’s brain is not getting what it needs to function optimally. You can read more about that here. As noted further above, grains – particularly genetically engineered corn disrupt the health of the gut. Disruption of the gut effects physical health and mental health. Serotonin is a neurotransmitter that helps to regulate mood control, depression and aggression. The greatest concentration of serotonin is found in the gut, not in the brain, as many people assume. So, if the gut is not healthy serotonin levels can end-up being seriously impacted, and so too psychological health. Glyphosate is an endocrine disrupter. Gluphosate is a known source of the following (in people and companion animals): Autisim; Alzheimer’s disease; cancer (various types) and is now being recognized as a definitive contributing factor to the development of breast cancer; depression; digestive issues; liver disease; Parkinson’s disease; and miscarriages and birth defects in humans and companion animals. This article provides a good overview of health impacts of glyphosate. You can find multiple articles on the many very negative health impacts of glyphosate, the active ingredient in Round-up here. You can read more about the very harmful effects of growing GMO corn here. In addition glyphosate kills beneficial insects such as bees – without bees there will be no food crops. You can read about that here and here. Many of the Prescription dog and cat foods sold in Veterinarian’s offices are corn-based – you can see some examples and read about them here. 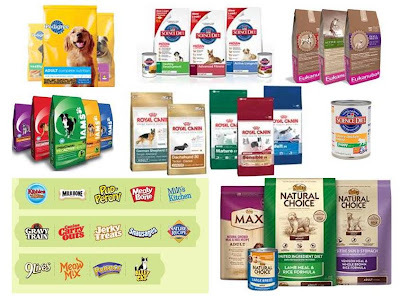 Five Mega Multi-National Companies – Five Common Household Names – So Much Deception…The Big Five listed above produce multiple brands of some of the most popular dog and cat food and treats available in North America. What you might not know is that their products are a serious threat to your dog’s, cat’s health and longevity…you can see some examples and read about them here. To see some examples of common corn and corn derivative included foods sold at pet stores you can take a look here. The threat posed to our companion animals by corn and soy – especially genetically engineered corn and soy is anything but benign! In my opinion the ASPCA’s stance on corn is very, very far off the mark.